A perspective on innovation, science, technology, art, and just about anything else from a place we'll never see in our lifetime. We’re just coming out of another long winter here in the Maine foothills. The storms of December (not to mention October and November), January and February have left their typical 100+ inches upon the landscape. The storms of March are adding just a dozen or so inches more, just to break any remaining appreciation for snow. With the cycles of melting, rain, and cold, one might expect the semi-permanent snowpack to run about 24 inches in most places. If you thrive in the wild on tree bark and dead insects while stored fat keeps your buck-naked form in harmony with the elements for four months, then this level of snow causes you little difficulty. Speaking from the gatherer part of the food chain in which I exist, I have my usual 11 feet of snow sitting outside my parlor window. This is not exactly a Norman Rockwell vision. Living in Maine means that my rooftop is frequently assaulted with 20+ inches or more of snow per storm, sometimes the heavy and wet variety. If it isn’t cleared quickly, snowfall from a typical storm rapidly turns into 12-18 inches of solid ice, and poses a very real risk of damaging or collapsing the roof. In my neck of the woods, this is not an uncommon occurrence. 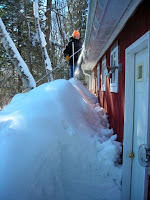 So several times each winter, I work with a team of shovelers to clear my roof of snow before real damage sets in. 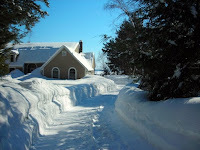 We had a particularly bad storm in February that dumped close to 20 inches of very heavy, wet snow and was driven by heavy winds, resulting in even higher drifts. It knocked out power to about 80,000 homes and was rapidly to be followed by sub-zero temperatures before an even more rapid warm-up and rain later in the week. The combination of these meteorological events, aside from giving a political-science intern a complete set of expert talking points on global warming, was potentially very dangerous. I didn’t hesitate to call my general contractor, who, in anticipation of my call, had a team all set to help me clear the latest harassment from Mother Nature. One of the reasons I use shovelers is for pure practicality. I’ve got roof rakes, extender poles, snow-shoes and other equipment that helps me clear a fair amount of roof-bound snow on my own from the ground. In order for me to get the really challenging stuff, I’m not the guy you want to see dancing around on an icy roof overlooking (in some places) a 30 foot drop. The shovelers are practiced in their trade and know no fear of icy inclines or college-bound children. I found this to be utterly fascinating. The task management credo espoused by the person risking his life shoveling his third of four rooftops that day is the same advice given by numerous innovation and business management gurus. Have a clearly defined job and break it down into manageable tasks. 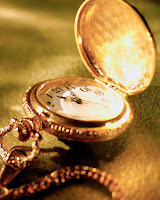 Focus tenaciously on one task at a time, each with its own goal, not allowing interruptions to get in the way. David Allen makes outcome focusing a central theme of his seminal time-management classic, “Getting Things Done”. It would seem to be common sense, yet the number of companies I see that are paralyzed by the distractions and empty promises of complex task management (or just the lack of effective task management) are too many for me to tally. Too often, we are seduced by the sirens of multi-tasking, who would have us believe that we can focus on multiple tasks simultaneously with little or no reduction in efficiency or productivity. Unfortunately, for those who do not resist this song, their footing is no steadier than that of the shoveler’s whom I nearly distracted. The resulting metaphorical fall for companies can have far more dire consequences. The lesson from the roof is a very simple one. When presented with a job, the best way to get it accomplished is to break it down into as many independent and smaller tasks as possible, each with clearly defined and visualized goals. Then by focusing on executing each task with a singular focus – ignoring all interruptions until each task is completed, the goals will be met predictably and efficiently. After that last storm, I seriously doubt that my roof protector would need to go to business school to effectively lead a multi-million dollar business. However, I know a fair number of business executives who could learn a lot from a shovel.